Last Thursday was probably the most nervous I've ever been before an Outpatients Appointment; the whole train journey to London reminded me of the first time we ever went while I was still 22 weeks pregnant. It was a similar gorgeous sunny day and I had a horrible feeling in the pit of my stomach. I had decided on a best and worst case scenario, had discussed with Mark that as long as the results fell somewhere in between those options then we could cope and it wouldn't be the end of the world. You can most definitely tell that Martha Grace has grown used to ECHO's now; from when she was about 1 years old she would be hysterical and would make a grab for the probe/doppler and we'd all have to sing and play YouTube video's to try to distract her but the past few times she has been so brave and lay quietly on the bed. We had the loveliest technician who really interacted with her and let her hold on to the probe to suss it out before he started, he was really calming and as a result, the ECHO took much less time than usual because he could get clearer images. As the ECHO images needed to be seen by a Cardiologist we took Martha to have her Pacemaker check and an ECG. The EP we met was just as lovely and chatty with Martha, she sat perfectly still while Mark held the device against her back. During Martha's last admission we were warned that Martha's battery had less than 11 months remaining, but they had a play about with her settings and amazingly seven months later she still has a minimum of 1 year longevity on her battery (maximum 2 years) Because the leads run through a fair bit of scar tissue, the Pacemaker does have to use a lot more energy to make Martha's ventricle contract efficiently - which of course is why we aren't getting as much life out of her battery. Then it was back to the clinic to discuss the ECHO with a Cardiologist; Martha was running around the office playing Cafe with the Student Doctor while the Cardiologist asked us questions about her general health since we were last there. He listened to the Heart and felt her pulses. He was new to the department and wasn't familiar with Martha Grace so he announced, "I'm going to get Georgi to look at her images because he knows Martha." He is gone for almost 15 minutes and returns with Dr. Georgi Christof and Dr. Ian Sullivan - we know things were looking serious. They both commented on how great Martha looked and how much she had grown. I asked them if by looking at her ECHO, should Martha look as well as she does to which Dr. Sullivan replied; "If you'd have told me that she was getting tired and breathless I would not have been surprised". He goes on to tell us that the Obstruction to Martha's Left Ventricular Outflow Tract has increased since her last appointment...back then the velocity of the blood being pumped through the narrowing measured 3.5 meters per second, by now it's 4.6 meters per second. If it was any other patient, or if Martha had only had 1 other open heart surgery then he would be recommending surgery. However, because she is Martha Grace and her most recent OHS only took place seven months ago he's being quite cautious as to whether or not another operation is justifiable at this stage. 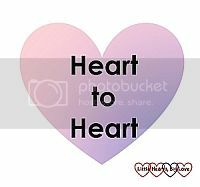 There is also some narrowing in her ascending Aorta which they couldn't really see clearly in the ECHO and would like Martha to have a CT scan; ideally they would prefer an MRI scan but as Martha has a pacemaker, she cannot have an MRI. We went to the Lagoon for some quick lunch while Georgi went to see if they could fit Martha in for a CT scan that afternoon. We drank tea and talked about the results we'd had so far and how we felt about them. Before long Georgi came to find us and we were on our way down to Walrus to try to get a Cannula in Martha Grace's hand...they need to inject dye through her veins in order for the images to be picked up during the CT scan, the CT scan itself would only take a couple of minutes. They normally apply "Magic Cream" about an hour before cannulation so that the kids don't feel the needle piercing the skin and the line being threaded through the vein...but Martha wasn't given any on Thursday and we stupidly believed she wouldn't make a fuss and let them crack on with it. She did not. She screamed her little broken heart out in pain as the nurses made their first attempt to get the cannula in her left hand. It didn't work so they had to try again with her right hand but she couldn't keep still so they couldn't get the needle in as far as they wanted. She sobbed and sobbed, it was just devastating to see. As a parent you never want to see your child in pain, it's torturous when you're subjecting your child to these procedures and it's something they need to have done in order to be able to save their life...and not being able to explain this to your child. The nurses gave us a couple of tubes of the "Magic Cream" so when we have to bring her back for the CT scan we can apply it to her hands ourselves. They've shown us which kind of veins they need. So it wasn't a good day and it wasn't a bad day. We didn't get terrible news and we didn't get amazing news. I think Thursday fell somewhere in the middle of our expectations. We have a backup appointment for 3 months time but we might get called in for a CT scan in the meantime. The most positive news we took from our appointment is that Martha's Cardiac Function is very good, clinically she's doing really well. On the train journey home, I told Mark and my Mam that I felt the same way that I did on our journey home from our first meeting with Dr. Sullivan...like a weight had been lifted. To be told that her Cardiac function was very good was very comforting.